There are nearly as many recipes for potato salad as there are cooks in the world. Originally brought to the United States by German immigrants, it has become a classic side dish in just about every region of the country. There are myriad variations, of course, such as whether the dressing is oil-and-vinegar based or mayonnaise based. 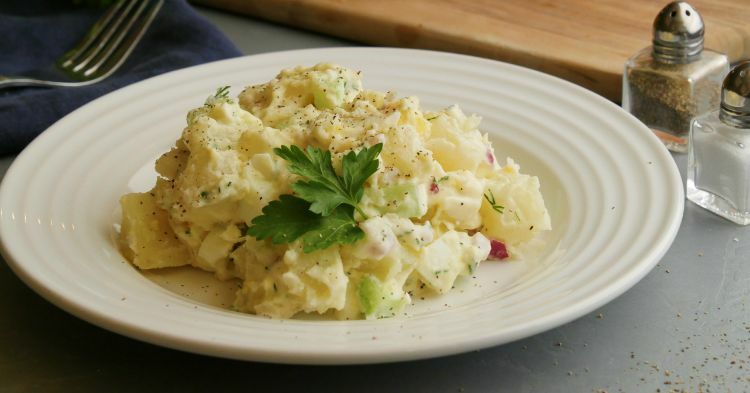 In the Southern U.S., where potato salad is especially popular, the mayonnaise version usually wins and often includes celery, onions, a touch of mustard, and chopped hard-boiled eggs. The true art is in achieving just the right ratios of these basic ingredients. This is a classic recipe that doesn’t stray too far from the essential flavors. A few time-honored secrets come into play to make this version a real standout. One secret is using russet potatoes, which absorb the seasonings’ flavors more readily than waxier red or yellow potatoes. Another is tossing the cooked potato cubes with a bit of apple cider vinegar, which adds a little bite that cuts through the richness of the mayonnaise. Of course, the use of the Instant Pot is a modern twist—we love how easy it is to cook the potatoes and eggs together in the Instant Pot. 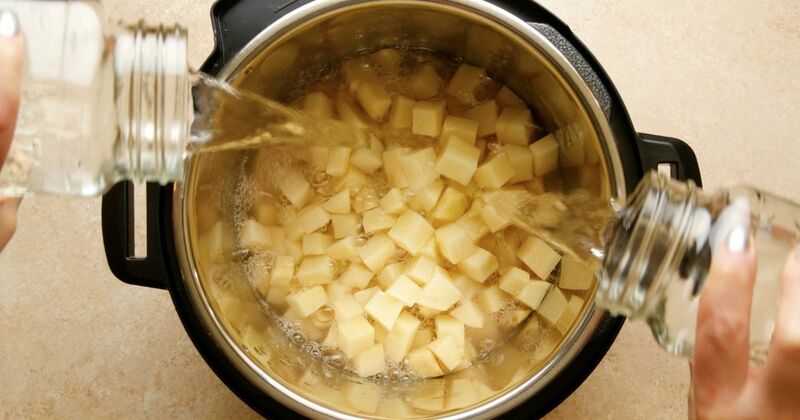 Place the potatoes in the Instant Pot and add the water and salt. Add the eggs on top of the potatoes. Close the lid of the Instant Pot and turn the valve to the sealing position. Choose high pressure and set the timer for 10 minutes. When the cooking time is up, let the pressure release naturally for 5 minutes and then quick release any remaining pressure. Drain the potatoes in a colander. Place the eggs in an ice water bath. Transfer the potatoes to a large mixing bowl and toss with the vinegar. Let stand until cool, about 15 minutes. Peel and chop the eggs and add them to the potatoes along with the celery, onion, mayonnaise, mustard, and dill. Fold gently to mix. Season with salt and pepper to taste. Cover and refrigerate for at least 1 hour before serving. Serve chilled or at room temperature.